With rising real estate rates, kitchens have been taking direct blows. Hardly a couple would want to compromise on bedroom floor space or the main entrance hall for that matter. Very often the floor space distribution dilemma forces couples to compromise on the kitchen area. It is indeed pitiful to miss out on the joy of cooking owing to such a miserable factor. Limited kitchen space can potentially take all the fun out of cooking if you let it. Yes, you heard it right! There are practical hacks that enable you to make your tiny kitchen feel spacious without actually adding to the square footage. There are some appliances you need, and then there are others that you want. For instance, the utilization of a blender can be coupled with that of a food processor, unless of course, you’re willing to work in small batches. So, having both in a restricted space will only complicate things. Cleverly distinguishing between them can help you lead a well-organised kitchen. In order to make the right choice in appliances, you can check Best Kitchen Buy’s site where you’ll find real reviews of products. 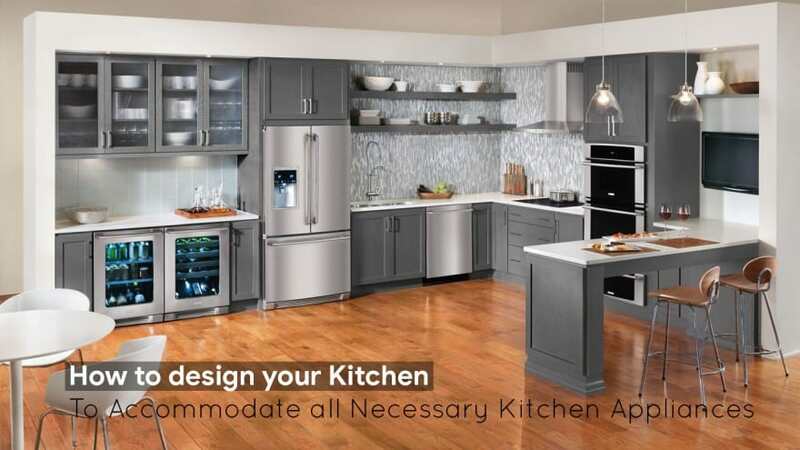 Moreover, the size of the appliances you own should be dictated by the storage constraints of your kitchen. Have them big enough to cater your family’s needs but small enough to precisely fit in given storage spaces. 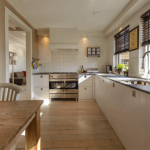 If you aren’t already utilizing the unoccupied walls of your kitchen, you sure are underestimating them. Your walls are more than just a confining element. Installing a pegboard on any of your vacant walls can significantly improve your storage space management. Pegboards can be used to hang pans, pots and other utensils leaving shelves in your kitchen for storing other important elements. This is indeed a very clever idea for people struggling with storage restrictions. 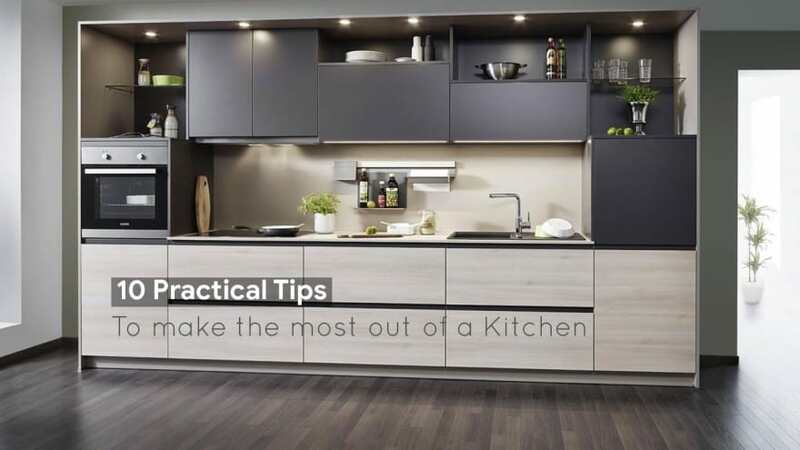 Identify places in your kitchen where there’s unoccupied space. For instance, space between shelves, under the sink, vacant corners and windowsills can all be used to stack some items. Alternatively, you may think about relocating appliances that are rarely used to somewhere else in the house. Fixing hooks to the sides of the cupboards can come in handy to hang stuff lying around. Installing shelves in corners can serve you well for storing smaller kitchen tools. If you’re just using the insides of your cabinets, we’re afraid to inform you, you’ve been underutilising them. The sides of your wooden cabinets can do much more than facing the wall. Fixing a strip of hangers at the sides of your wooden cabinets can give you some bonus storage space. The hangers installed at the site can be used for hanging mugs, knives, small pots and pans and much more! Just when you think that there’s no more your cabinets can store, the undersides of the wooden piece score a save! Consider adding hooks to the bottoms of the cabinets to store some utensils. 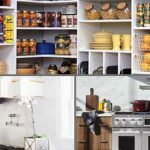 Alternatively, you can fix a magnetic strip along the length of the undersides of the cabinets enabling them to hold spice jars with metallic lids. 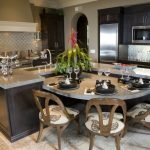 Most kitchen designs have unoccupied vacant space below the island countertop. Following the same trend with limited kitchen area is a no-brainer. Installing shelves or cabinets beneath an island countertop enables the user to clear the messy kitchen worktop. The space below the island worktop can be easily used to install over the range microwave ovens. Smaller shelves beneath the countertop can be utilised to store small dishes, magazines or cookbooks. Unoccupied space between cabinet walls or adjoining the refrigerator can be put to good use. All you have to do is introduce a free-standing metal shelve. This is a classic example of how professional restaurant chefs manage space. Free-standing shelves are basically metal racks, generally open from all sides. Getting such a rack gives you layered vertical storage convenience. Be it a food processor, an air fryer, fruit baskets, knife shelve or even spice jars, you can stack them all. Such open metal shelves give you easily accessible storage allowing you to clear the kitchen worktop. Most of the kitchens around the globe have some vacant space under their cabinets. It is only intellectual to utilize that unoccupied space when running short on floor space. Installing a toe kick drawer beneath your cabinets will provide you some much needed additional storage. These kinds of drawers can be conveniently used for storing flat items like cooking pans, magazines, recipe books, oversized baking trays and plates. When you are running short on floor space, every bit of square inch count. Having your cutlery lying around in a rack on your worktop will essentially take some space. You can squeeze that space out too by installing a magnetic knife rack on a wall nearby. 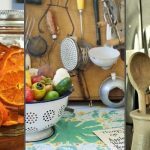 Having such an arrangement for your cutlery will not only clear up some much-needed worktop space, but also it will keep those sharp objects away from kids wandering in the kitchen. Limited horizontal surface certainly restricts spread out even storage of kitchen essentials. But you can always utilize the third dimension of space. 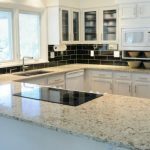 Stacking elements along the height in an organized manner will clear out some much-needed space on and around the worktop. Be it organizing stuff on the window sill, over the refrigerator or in a vertical shelve. Limited kitchen space can be turned into fairly spacious by efficiently organizing kitchen appliances.